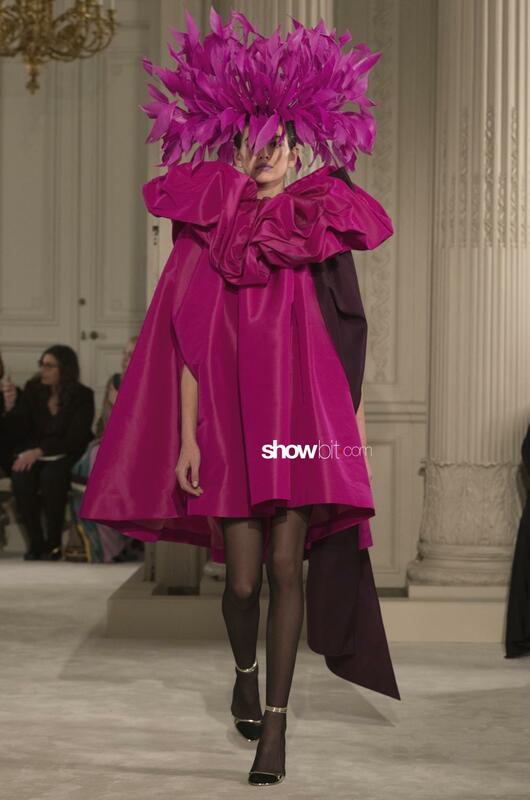 The Valentino Spring 2018 Haute Couture collection was presented in Paris last Wednesday. 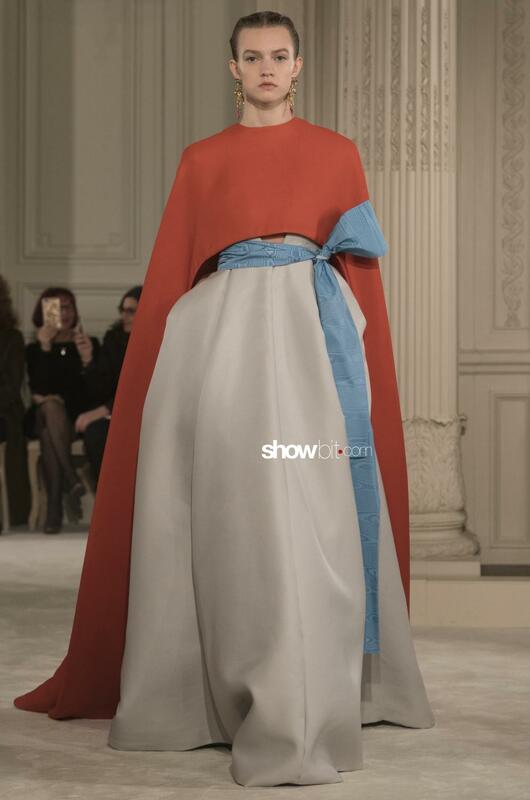 Sophisticated creations will make the show unforgettable in Valentino history, thanks to the excellent team work that stands behind the scenes. 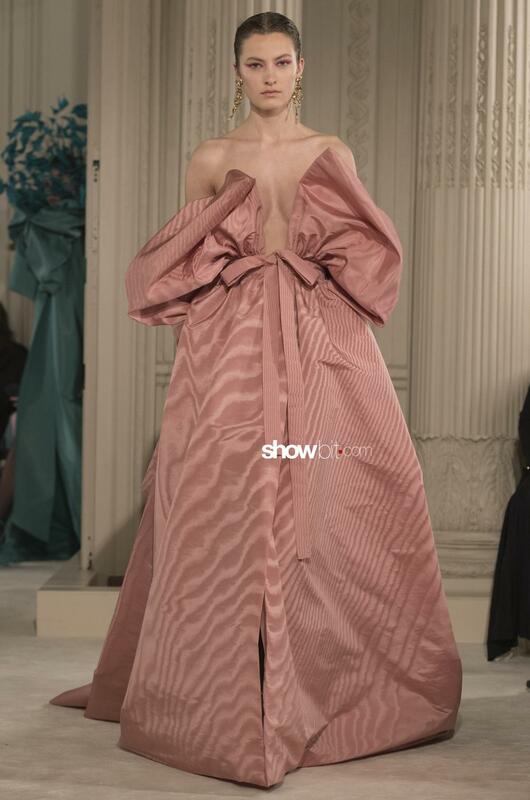 Pierpaolo Piccioli proved to be the perfect Valentino Garavani’s successor: each dress has a sublime elegance that reflects the Roman brand’s inner signature. Even though he’s searching modernity and innovation, he returns to Rome and its original beauty – a classical and celestial aesthetics -, highlighting the handcrafted component: every garment brings the name of the tailor or première among the 77 working in the Valentino atelier. 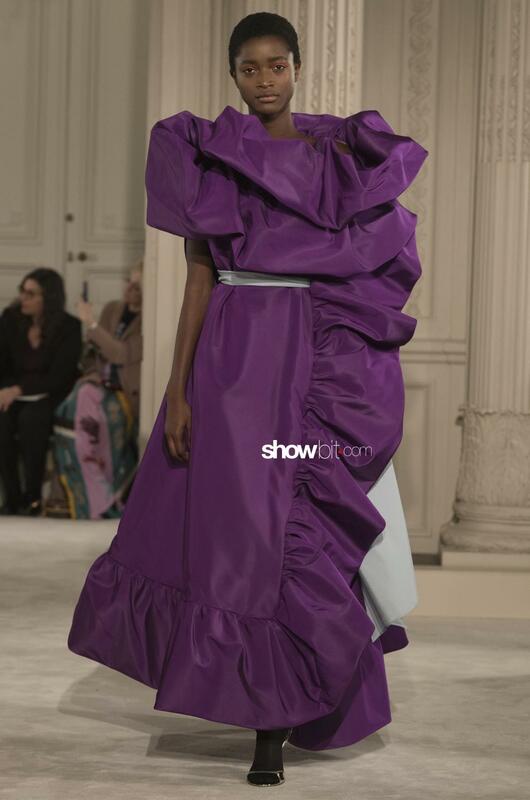 There’s a wide colour palette used alongside the black-and-white and Red Valentino tones, allowing Pierpaolo to express his view of fashion by putting a personal stamp on it. The garments are real sculptures to wear. 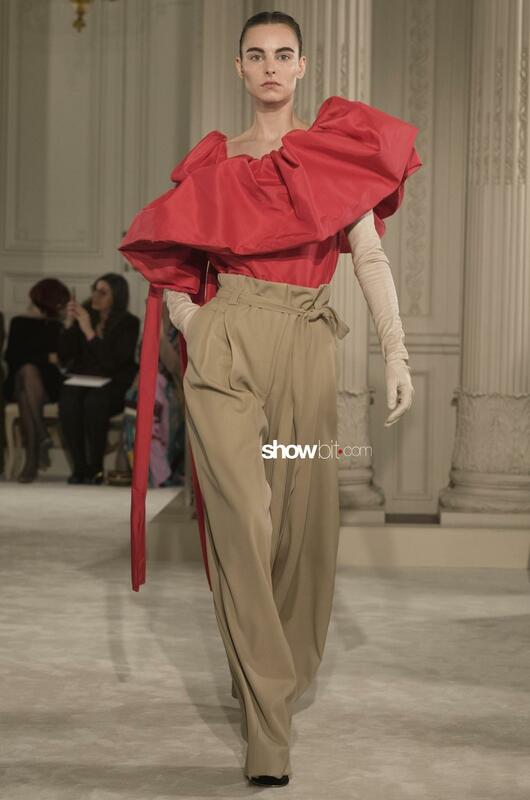 Rouches and bows go hand in hand with essential wide volumes. 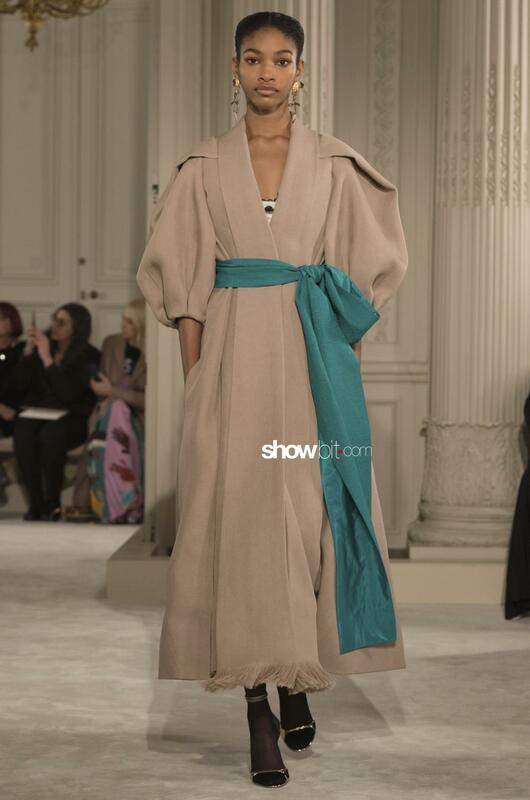 The collection includes longline dresses and robe-manteaux made in pastel chromatic tones and fastened at waistline with contrasting-coloured ribbons. 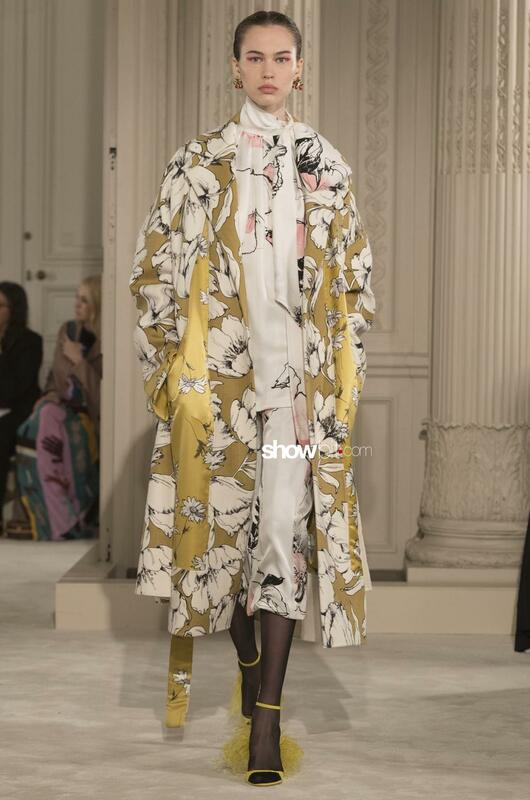 Transparencies and volants are mixed with intarsia overcoats, floral patterns, precious 3D crystals and embroideries.